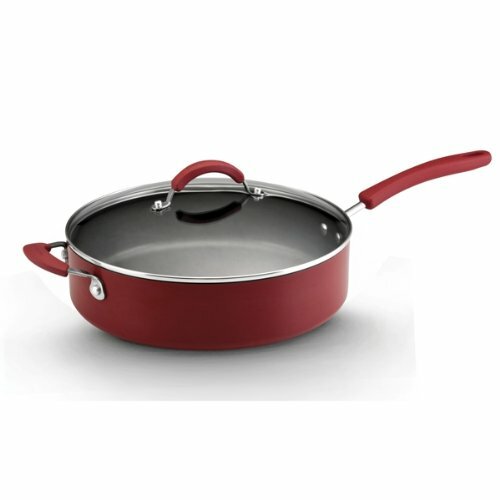 KitchenAid Aluminum Nonstick Cookware is inexpensive yet durable. 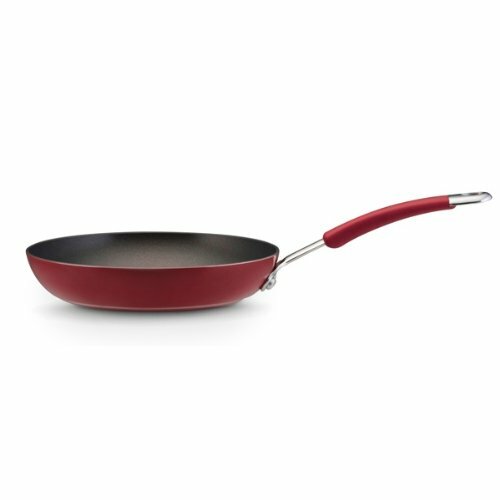 The porcelain outside is attractive and the nonstick interior is tough. 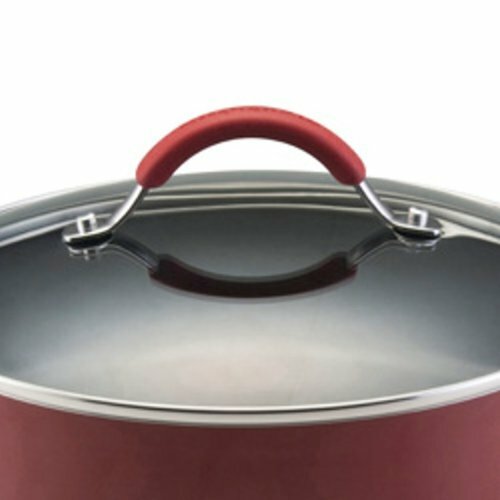 A stainless steel bottom makes the cookware induction ready. 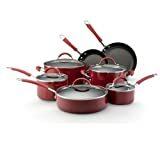 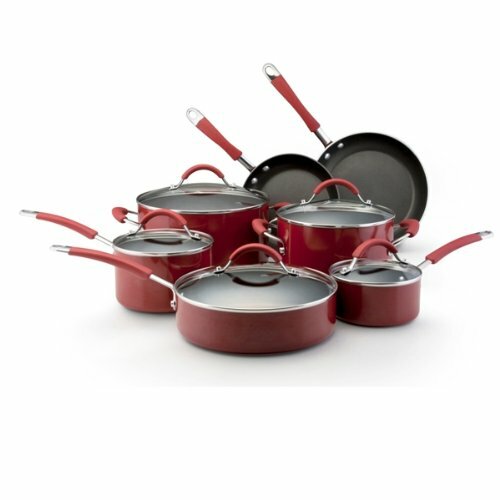 The KitchenAid aluminum nonstick cookware set is 12 pieces and a pretty good selection of pieces. 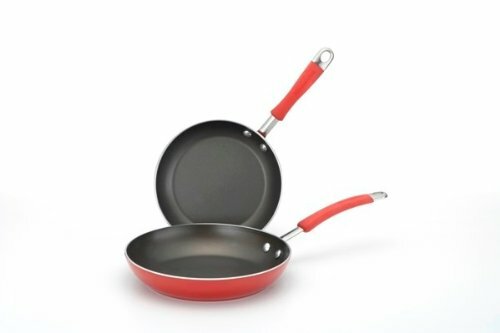 While the nonstick interior is not made for higher heat levels, it can still perform well up to medium heat levels. 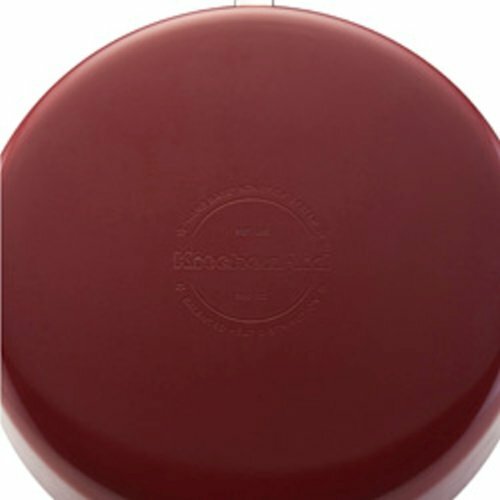 Glass lids allow you to monitor the cooking progress without having to lift the lid which allows moisture and nutrients to escape. 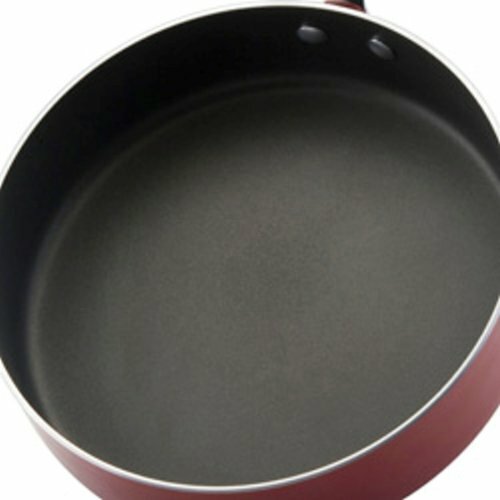 I use one of these skillets and it is performing well for an extended period of time.